From Greek "kyprios", of Cyprus, the location of ancient copper mines; Latin "cuprum". Cubes, dodecahedra, and as tetrahexahedra; rarely as octahedra and complex combinations. Filiform, herringbone, arborescent, wires and massive. Auriferous Zincian Copper A Gold-bearing zincian copper. Compare with UM2003-03-E:AgAuCuZn. Nickeloan Copper Natural nickel-copper alloys with structure of α-Cu. Nickel contents in Bronzes may to vary in wide range from first percents up to 10 and more mas.%. Often subordinate contents of iron also able to presents. Palladian Copper Palladium-bearing (commonly 24Pd) but some of these may be structurally distinct species (eg: Nielsenite). Stanniferous Copper Natural copper-tin alloys (i.e. bronzes). Tin contents may vary in a wide range, from a few percents up to 35% and more. Subordinate contents of lead are also often present. Whitneyite Arsenic-bearing copper. High arsenic content (up to 11.5% As) in initial description was connected with some intimately associated Algodonite. Modern microprobe analyses of homogeneous As-bearing copper shows contents in range 1.5-6.6 mas.% As. Cuprite 926 photos of Copper associated with Cuprite on mindat.org. Calcite 631 photos of Copper associated with Calcite on mindat.org. Malachite 457 photos of Copper associated with Malachite on mindat.org. Silver 338 photos of Copper associated with Silver on mindat.org. Quartz 257 photos of Copper associated with Quartz on mindat.org. Prehnite 148 photos of Copper associated with Prehnite on mindat.org. Aragonite 103 photos of Copper associated with Aragonite on mindat.org. Chrysocolla 81 photos of Copper associated with Chrysocolla on mindat.org. Epidote 81 photos of Copper associated with Epidote on mindat.org. Gypsum 81 photos of Copper associated with Gypsum on mindat.org. Electrical wire, cooking utensils, in alloys such as brass and bronze. Dana (1886) American Journal of Science: 32: 413. Bragg (1914) Philadelphia Magazine: 28: 255. Goldschmidt, V. (1918) Atlas der Krystallformen. 9 volumes, atlas, and text: vol. 5: 57. Ramsdell, L.S. (1929) An X-ray study of the domeykite group. American Mineralogist: 14: 188. Owen, Yates (1933) Philadelphia Magazine: 15: 472. Palache, C., Berman, H., and Frondel, C. (1944) The System of Mineralogy of James Dwight Dana and Edward Salisbury Dana Yale University 1837-1892, Seventh edition, Volume I: 99-102. Mezger, D. (1980) Copper in the World Economy. The following Copper specimens are currently listed for sale on minfind.com. Coats, S., & Benham, A. J. (2006). Minerals in Afghanistan: The Aynak Copper Deposit. Afghanistan Geological Survey website. Dekov, V. M., Rouxel, O., Asael, D., Hålenius, U., & Munnik, F. (2013). Native Cu from the oceanic crust: Isotopic insights into native metal origin. Chemical Geology, 359, 136-149. Dekov, V.M., Rouxel, O., Asael, D., Hålenius, U., Munnik, F. (2013) Native Cu from the oceanic crust: Isotopic insights into native metal origin. Chemical Geology, 359, 136-149. Khachaturyan, E. A.; Paronikyan, V. O. (1963): Hypogene covellite in ores of the Tandzut pyritic deposit. Zap. Armyansk. Otd. Vses. Mineralog. Obshchestva, No. 2, 18-21. NSW Geological Survey Report GS 1942/086. ⓘ Bookookoorara Creek prospect ? ⓘ Boonoo Boonoo River lode ? Chapman, J. R., Sharpe, J. L. and Williams, P. A. (2005): The copper deposits at Girilambone, New South Wales. Australian Journal of Mineralogy, 11, 91-99.
ⓘ Castle Hill copper ? Ramdohr, P. (1973). The Opaque Minerals in Stony Meteorites. Elsevier Publishing Company: Amsterdam; London: New York. 245 pages. ; Rubin, A.E. (1994) Metallic copper in ordinary chondrites. Meteoritics 29 (1): 93-98. (Jan 1994). Ramdohr, P. (1973). The Opaque Minerals in Stony Meteorites. Elsevier Publishing Company: Amsterdam; London: New York. 245 pages. ; Rubin, A. E. (1994) Metallic copper in ordinary chondrites. Meteoritics 29 (1): 93-98. (Jan 1994). Lye, Andrew, Crook Graham, and Kolff van Oosterwijk, Lennard: The Discovery History of the North Parkes Deposits. Leverett, P., McKinnon, A. R., Sharpe, J. L. and Williams, P. A. (2005) Secondary minerals from the central Cobar mines. Australian Journal of Mineralogy, 11, 75-82. Joseph A. Freilich collection; Leverett, P., McKinnon, A. R., & Williams, P. A. (2005). Supergene geochemistry of the Endeavor ore body, Cobar, NSW, and relationships to other deposits in the Cobar basin. Regolith 2005–Ten Years of CRC LEME, 191-194. Thomson, B.P. (1950) Report on the "Home of Bullion" Copper Mine, Northern Territory. Basedow, H. (1924) Home of Bullion Lode, Barrow's Creek, Northern Territory. Central Australian Silver, Lead and Copper Mining Syndicate. Blanchard, R. (1968) Interpretation of Leached Outcrops, Nevada Bureau of Mines, Bulletin 66, Mackay School of Mines, University of Nevada, Chapter 13: Home of Bullion mine, Northern Territory, p71. Ivanac, J.F. (1952) Geological Report on Peko Gold Mine, Tennant Creek Gold-Field, N.T., Bureau of Mineral Resources, Record 1952/20. Bennett, M., Mayes, K. (2017) The Rockface Copper Discovery at Jervois, Annual Geoscience Exploration Seminar (AGES 2017) Proceedings. Northern Territory Geological Survey. Munro-Smith, V., Leverett, P., Sciberras, M. J., Sharpe, J. L., Williams, P. A. and Melchiorre, E. B. 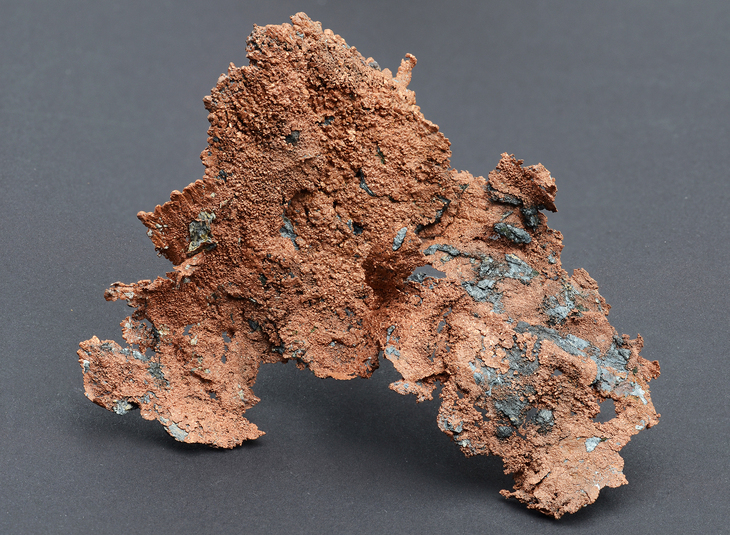 (2015): Copper and cobalt mineralization from the Desolation prospect, Mount Isa Block, Queensland. Australian Journal of Mineralogy 17, 83-87.; Vera Munro-Smith (2006) Cobalt Mineralisation in Selected Australian Deposits. PhD thesis, University of Western Sydney. Lawrence et al (1998). 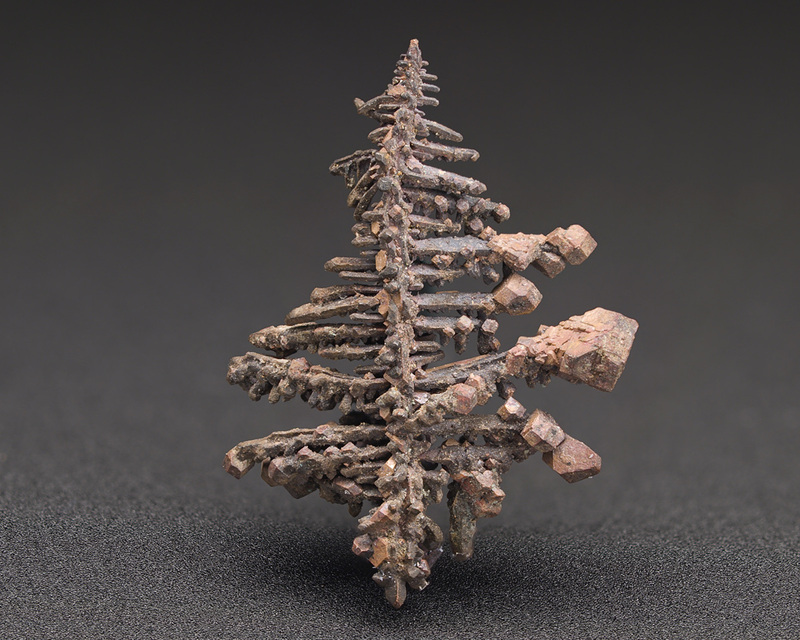 End-Member Beyerite from the Alone Hand Mine, Cloncurry, Queensland. Australian Journal of Mineralogy 4(1): 9-11.
http://www.cudeco.com.au/mining/; Lapis 41 (12) (2016) p. 42. Brown, M. et al. (2010): The geology and discovery of the Merlin Mo-Re zone of the Mount Dore deposit, Mount Isa Inlier, NW Queensland, Australia. SGA News, 27, 1 & 9-15. [UKJMM 19:28]; Anderson, C., 1909. Mineralogical notes. No. VIII. Topaz, anglesite, and other Australian minerals. Records of the Australian Museum 7(4): 274–282, plates lxxix–lxxxi. [30 August 1909]. Rotherham, J.F. (1997): Mineralium Deposita 32, 205-218. Riley, J. F. (1978): Slag occurrences of djerfisherite and iscorite. Neues Jahrbuch für Mineralogie, Monatshefte 1978, 433-439. Record of mines - Summary card No:233, Copley SI 5409; Brown, H.Y.L., (1908), Record of The Mines of South Australia , 4th ed., Government Printer, Adelaide. SA Geodata Database - Mineral Deposit Details Deposit Number: 4162; Brown, H.Y.L., (1908), Record of The Mines of South Australia , 4th ed., Government Printer, Adelaide. SA Geodata Database, Deposit Number: 3807 ; Grguric, B., Pring, A. & Drew, G. (1994), "The Burra Burra mine, Burra, South Australia", Mineralogical Record, vol. 25, no. 2, pp. 121-129. Noble R.J., Just J. and Johnson J. E., 1983, Catalogue of South Australian Minerals:1983, Government Printer, Adelaide. ; Brown, H.Y.L., (1908), Record of The Mines of South Australia , 4th ed., Government Printer, Adelaide. Brown H.Y.L, (1884) Proceedings of the Parliament of South Australia: With Copies of ..., Volume 3 Notes on the Echunda Goldfield A32:1-6. Brown, H.Y.L., (1908), Record of The Mines of South Australia , 4th ed., Government Printer, Adelaide. Pers. Comm. M. Willoughby. Specimens collected my members of The Mineralogical Society of South Australia. SA Geodata Database (2015), Mineral Deposit Details; Deposit Number: 7219 ; Brown, H.Y.L., (1908), Record of The Mines of South Australia , 4th ed., Government Printer, Adelaide. Austin, J.B. (1863) The Mines of South Australia Including Also an Account of the Smelting Works in that Colony. Wilson, W.E. (2019) Atacamite from the New Cornwall mine, Kadina, South Australia. The Mineralogical Record 50(2), 169-199. RB94/00041;Janz 1990 (unpublished honours thesis) + self prospected; Brown, H.Y.L., (1908), Record of The Mines of South Australia , 4th ed., Government Printer, Adelaide. Edwards et al, Heathcote and parts of Woodend and Echuca, Geological Survey Report 108, Victorian Geological Survey. Downes, P.J., Hope, M., Bevan, A.W.R., Henry, D.A. (2006) Chalcocite and associated secondary minerals from the Telfer gold mine, Western Australia. Australian Journal of Mineralogy, 12:1, 25-42. Ravensgate Mining Consultants (2007), Independent Technical Report for the Laverton Gold Project Western Australia for Cresecent Gold Ltd, 11/06/2007, Focus Minerald Ltd (2014-2015 drilling campaign) hot copper thread 01/05/2015 Focus Minerals Ltd (2015) Admiral Hill Exploration: Exciting Evidence of VHMS System, Australian Stock Exchange (ASX Announcement 1 May 2015). The Sun newspaper (Kalgoorlie) (1907), The Eulaminna Copper Mine (Old Anaconda), 15/12/1907. The Sun newspaper (kalgoorlie) (1907) The Eulaminna Copper Mine (Old Anaconda) 04/08/1907; Western Mail newspaper (Perth) (1901), Anaconda Copper Mine, 25/12/1901. Ferguson, K.M. (1999) Lead, Zinc and Silver Deposits of Western Australia. Geological Survey of Western Australia, Mineral Resources Bulletin 15. Sabminco NL Company report 1994. Simpson, Edward S. (1951) Minerals of Western Australia Vol 2 (Facsimile ed. 1984). Hesperian Press, Carlisle, Western Australia, p96. Simpson, Edward S. (1951) Minerals of Western Australia Vol 2 (Facsimile ed. 1984). Hesperian Press, Carlisle, Western Australia. P. Downes, J. Bevan & A. Bevan (1998) - Minerals of the Whim Creek copper mine, Western Australia - Australian Journal of Mineralogy, Vol. 4, N°1, pp 13-29; Collins, P., Hooper, B., & Cornelius, M. (2004). Whim Creek Cu-Zn-Pb deposit, Pilbara, WA. Regolith Expression of Australian Ore Systems. CRC LEME, Perth, 1-3. Puttner, M. (1987): Mineralien von St. Martin am Silberberg (Kärnten) und Sekundärbildungen in Schlackenhohlräumen. – Carinthia II, Klagenfurt, 177./97. : 149-157. ; Blaß, G., Graf, H.-W. & Pichler, A. (1997): Sekundäre Neubildungen in Schlacken von St. Martin am Silberberg in Kärnten (2). Mineralien-Welt, 8(6), 54-55. Kolitsch, U. & Götzinger, M. A. (2013): 1816) Azurit, Cuprit, Klinoatacamit und sekundäres Kupfer in einem Kupfergusskuchen aus dem Stadtgebiet Neunkirchen, Niederösterreich. 129 in Niedermayr, G. et al. (2013): Neue Mineralfunde aus Österreich LXII. Carinthia II, 203./123., 91-146. Huber, S. and Huber, P. (1977): Mineral-Fundstellen Band 8: Oberösterreich, Niederösterreich und Burgenland. C. Weise Verlag, München, 270 pp. (in German); MEIXNER, H. (1976): 375. Mineralfunde vom Arzberg bei Spitz an der Donau, Niederösterreich. Pp. 32-35 in MEIXNER, H. (1976): Neue Mineralfunde aus Österreich XXVI. Carinthia II, 166./86., 11-42. Niedermayr, G. (1997): 1085. Cuprit, Paratakamit und Skapolith von Eibenstein, Niederösterreich. In: Niedermayr et al. (1997): Neue Mineralfunde aus Österreich XLVI. – Carinthia II, 187./107. 169-214. Strasser, A. 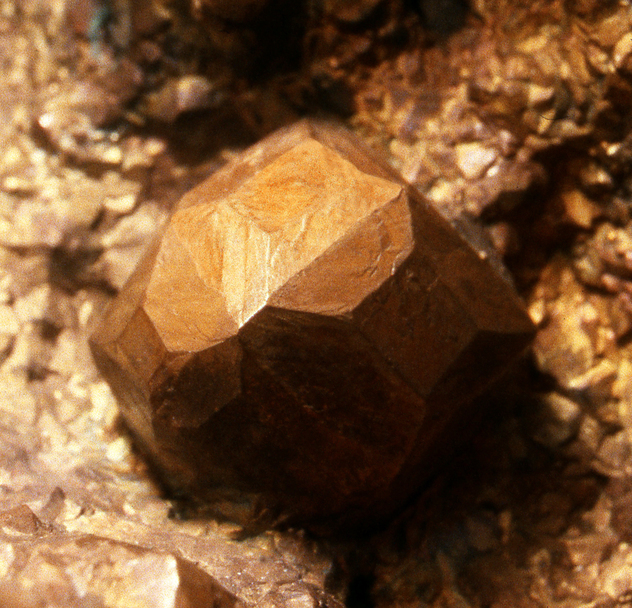 (1990): Mineralneufunde. Mineral. Arch. Salzburg, 2, 42-51. Kolitsch, U. & Brandstätter, F. (2009): 1586) Langit, Wroewolfeit und einige weitere Mineralphasen aus einer Kupferschlacke vom Lechnerberg bei Kaprun, Hohe Tauern, Salzburg. Pp. 207-208 in Niedermayr et al. (2009): Neue Mineralfunde aus Österreich LVIII. Carinthia II, 199./119., 189-236. Paar, W.H. & Meixner, H. (1979): Neues aus den Kupfererz-Gängen des Flatschacher Bergbau-Reviers bei Knittelfeld, Steiermark. Karinthin, 81: 148-150.; Gröbner, J. (2000): Neue Mineralienfunde aus Österreich (2). Mineralien-Welt, 11 (5), 49-51. Kolitsch, U. & Brandstätter, F. (2011): 1706) Cuprit, Kupfer und Pseudomalachit vom Brandberg bei Leoben, Steiermark. Pp. 171-172 in Niedermayr, G. et al. (2011): Neue Mineralfunde aus Österreich LX. Carinthia II, 201./121., 135-186. Kolitsch, U. (2018): 2098) Antlerit, Brochantit, Chalkanthit, Connellit, Cuprit, Gips, Kupfer, Malachit und Rouait aus einer Schlackenhalde bei Bärndorf, Rottenmann, Paltental, Steiermark. Pp. 241-242 in Walter, F. et al. (2018): Neue Mineralfunde aus Österreich LXVII. Carinthia II, 208./128., 185-254. Aufschluss 1972(SB), 48-50; Gerald Gesselbauer (06.2010); Meixner, H. (1958): Neue Mineralfunde in den österreichischen Ostalpen XVI.- Carinthia II, 148./68., 91-109. Lapis 19(7/8):13-78 (1994); Schnorrer, G. & Poeverlein, R. (2005): Schwaz-Brixlegger-Fundstellen: 3. Die Minerale vom Bergbau Maukenötz bei Brixlegg, Tirol. Der Aufschluss, 56, 223-234. Steck, C. (2018): 2073) Gediegen Kupfer und Cuprit vom Bergbau Ulpen, Kaunzalm-Hochleger, Öxeltal (Tuxer Voralpen), Nordtirol. P. 202 in Walter, F. et al. (2018): Neue Mineralfunde aus Österreich LXVII. Carinthia II, 208./128., 185-254. - O.M.Friedrich, in: Zur Erzlagerstättenkarte der Ostalpen (mit Karte 1:500.000). Radex - Rundschau, 7 / 8, Radenthein 1953, Seite 371 – 407. Arthofer, P. & Puchberger, P. A. (2010): Eine Kupfermineralisation im Orthogneis bei Maria Neustift, Oberösterreich. OÖ. Geonachrichten 25, 55-62; Arthofer, P. & Puchberger, P. A. (2011): Chalkosin in gediegen Kupfer von Maria Neustift, Oberösterreich. OÖ. Geonachrichten 26, 8-10. Ramdohr, P. (1973). The Opaque Minerals in Stony Meteorites. Elsevier Publishing Company: Amsterdam, London: New York. 245 pages. ; Floran, R. J. (1978) Silicate petrography, classification, and origin of the mesosiderites - Review and new observations. In: Lunar and Planetary Science Conference IX, Proceedings. Volume 1. : New York, Pergamon Press, Inc.. pp. 1053-1081. Blondieau, M. (1997): Recherches Minières, Mines et carrières de Famenne. Veljković, D. Prikaz rezultata geološkog istraživanja ležišta barita, olova, i cinka - Veovača kod Vareša. Geološki glasnik, Sarajevo, 1971. Márcia Abrahão Moura, Nilson Francisquini Botelho and Fábio Carvalho de Mendonça (2007): The indium-rich sulfides and rare arsenates of the Sn–In-mineralized Mangabeira A-type granite, Central Brazil. Canadian Mineralogist 45, 485-496. Barbour, A. P., & Oliveira, M. A. F. D. (1979). Pb, Zn, Cu e Ba do distrito do Perau: modelo sedimentar para sulfetos do Vale do Ribeira. Boletim IG-USP, 10, 97-119. Ramdohr, P. (1973). The Opaque Minerals in Stony Meteorites. Elsevier Publishing Company: Amsterdam; London: New York. 245 pages. ; Gomes, C.B. & Keil, K. (1980) Brazilian Stony Meteorites: University of New Mexico Press: Albuquerque. pp. 162.; Rubin, A.E. (1994) Metallic copper in ordinary chondrites. Meteoritics 29 (1): 93-98. (Jan 1994). Singer, D.A., Berger, V.I., and Moring, B.C. (2008) Porphyry copper deposits of the world: Database and grade and tonnage models, 2008. US Geological Survey Open-File Report 2008-1155.; Ilinca, G. (2012) Upper Cretaceous contact metamorphism and related mineralization in Romania. Acta Mineralogica-Petrographica, Abstract Series, Szeged, Vol. 7.; Popov, P., Strashimirov, S., Popov, K., Kanazirski, M., Bogdanov, K., Radichev, R., Dimovski, S., Stoykov, S. (2012) Geology and Metallogeny of the Panagurishte Ore Region. pp. 192-227.; Cioacă, M. E., Ivanov, D., Iorga-Pavel, A., Stoilov, V., Milu, V., Barbu, O., ... & Munteanu, M. (2018). Au-Ag-Bi mineralization at the Assarel porphyry copper deposit (Srednogorie metallogenic zone, Bulgaria). Advances of Geology in southeast European mountain belts, 276. Zidarov, N., Petrov, O., Tarassov, M., Damyanov, Z., Tarassova, E., Petkova, V., Kalvachev, Y., and Zlatev, Z. (2009) Mn-rich norsethite from the Kremikovtsi ore deposit, Bulgaria. Neues Jahrbuch für Mineralogie, Abhandlungen 186, 321-331.
http://www.geologija-revija.si/dokument.aspx?id=231; ATANASSOVA, S. THE PRESERVED MINERAL DIVERSITY OF SEDMOCHISLENITSI DEPOSIT, VRATSA ORE REGION. Mineralogical Record 22:384; MINFILE No 092INE023; Garagan, M. J. (2014). Textural and spatial relationship between platinum-group elements and alteration assemblages in the Afton porphyry system, Kamloops, British Columbia. BS Thesis St. Marys University, Halifax; Kozak, A., & Eng, P. NI 43-101 Technical Report on the Afton-Ajax EW Deposit. Logan, J. M. (1999). British Columbia Geological Survey Geological Fieldwork 2000. A.W. Lines, J. Parnell, and D.J. Mossman (1996) "Reduction spheroids from the Upper Carboniferous Hopewell Group, Dorchester Cape, New Brunswick: notes on geochemistry, mineralogy and genesis", Atlantic Geology, 32, pg 159-172. Jackson, C.T. and Alger, F. (1829) Remarks on the Mineralogy and Geology of the Peninsula of Nova Scotia. Cambridge. Messervey, J.P. (1929) Copper in Nova Scotia. Pamphlet No. 7, Nova Scotia Department of Public Works and Mines. Van Dommelen, R. and Collett, T. (2006) An Introduction to Minerals in Nova Scotia and a Report on Recent Collecting. Rocks and Minerals 81:1, pp. 54-61. Sabina, A.P., "Rocks and Minerals for the Collector : Bay of Fundy Area", Geological Survey of Canada, Paper 64-10, 1964. Hamilton, P.S. (1868) Report of the Chief Gold Commissioner for the Province of Nova Scotia for the year 1862. Am Min 50:682-695; Chamberlain, J. A., McLeod, C. R., Traill, R. J., & Lachance, G. R. (1965). Native metals in the Muskox intrusion. Canadian Journal of Earth Sciences, 2(3), 188-215.; Hulbert, L. J., Duke, J. M., Eckstrand, O. R., Lydon, J. W., Scoates, R. F. J., Cabri, L. J., & Irvine, T. N. (1998) Geological Environments of Platinum Group elements. Geological Survey of Canada, Open File 1440. Natural Resources Canada. Min Mag (1980) 43:877-878; Hawley, J.E. & Stanton, R.L. (1962): The Sudbury ores: their mineralogy and origin. Part II. The facts: The ores, their minerals, metals and distribution, Canadian Mineralogist 7, 30-145. Drury, Charles W. (1918): Cobalt its Occurrence, Metallurgy, Uses and Alloys; Ontario Bureau of Mines, Vol. 27, Pt. 3, Sect. 1, p. 26. Econ Geol (1997) 92:468-484; Tremblay, L. P. (1978). Geology of the Beaverlodge mining area, Saskatchewan (No. GSCAN-M--367). Geological Survey of Canada. ; Dieng, S., Kyser, K., & Godin, L. (2015). Genesis of multifarious uranium mineralization in the Beaverlodge area, northern Saskatchewan, Canada. Economic Geology, 110(1), 209-240. Sabina, A.P. (1972) Rocks & minerals for the collector: The Alaska Highway, Dawson Creek, British Columbia to Yukon/Alaska border. GSC paper 72-32. Reissued (1992) as GSC Miscellaneous Report 50, 67-68. Ramírez, L.E., Palacios, C., Townley, B., Parada, M.A., Sial, A.N., Fernandez-Turiel, J.L., Gimeno, D., Garcia-Valles, M., and Lehmann, B. (2006): Mineralium Deposita 41, 246-258. Oliveros, V., Tristá-Aguilera, D., Féraud, G., Morata, D., Aguirre, L., Kojima, S., and Ferraris, F. (2008): Mineralium Deposita 43, 61-78. Sonami: "Boletín de la Sociedad Nacional de Minería: Vol II, 1901. Bárbara Romero, Shoji Kojima, Chilong Wong, Fernando Barra, Walter Véliz and Joaquin Ruiz (2011): Molybdenite Mineralization and Re-Os Geochronology of the Escondida and Escondida Norte Porphyry Deposits, Northern Chile. Resource Geology 61, 91–100. Nisterenko, G. V., Losert, J., Chávez, L., & Naumov, V. B. (2010). Temperaturas y presiones de formación de algunos yacimientos cupríferos de Chile. Andean Geology, 1(1). Sernageomin (2006): "Atlas minero de la región de Atacama"; Stgo de Chile. Daniel Russell - pers. com. Parker L.R./Salas R./Pérez G. (1963); " Geología de los distritos mineros Checo de Cobre, Pampa Larga y Cabeza de Vaca (provincia de Atacama)"; Instituto de Investigaciones de Chile, Boletín 14, Stgo de Chile. Henwood, W.J. (1871): Transactions of the Royal Geological Society of Cornwall 8(1), 154-167. H. Flores (1938): "Informe Geológico preliminar sobre el mineral de Cerro Blanco; Sociedad Explotadora de Minas", Paipote (Copiapó), Chile. Parker R. et altri (1963); "Geología de los distritos mineros de Checo de Cobre, Pampa Larga y Cabeza de Vaca, en la Provincia de Atacama"; Instituto de Investigaciones Geológicas; Boletín 14, Stgo de Chile. Dana 6:154.; H. Flores (1938): "Informe Geológico preliminar sobre el mineral de Cerro Blanco; Sociedad Explotadora de Minas", Paipote (Copiapó), Chile. Ruiz Fuller C.(1941); "Informe Geológico de las minas del grupo Gerard del Mineral El Orito, departamento de Vallenar"; Stgo. de Chile. Ruiz Fuller C.(1941); "Informe Geológico de las minas del grupo Gerard del Mineral El Orito, departamento de Vallenar"; Stgo. de Chile. ; Ruiz Fuller C.(1941); "Informe Geológico de las minas del grupo Gerard del Mineral El Orito, departamento de Vallenar"; Stgo. de Chile. Saric, N.R. (1978) Geologia y Mineralizacion del Yacimiento La Africana. Revista Geologica de Chile, No. 6, 31-40. Yang Gang, Chen Jiangfeng, Du Andao, Qu Wenjun, and Yu Gang (2004): Chinese Schience Bulletin 49(13), 1396-1400. Hanjie Wen, Carignan, J., Yuzhuo Qiu, and Shirong Liu (2006): Environmental Science and Technology 40(4), 1126-1132.